If you're going to dress like a frog, this is the way to go. 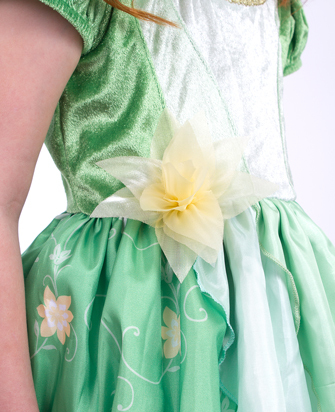 Look at the dainty yellow and white flowers printed onto the fabric! 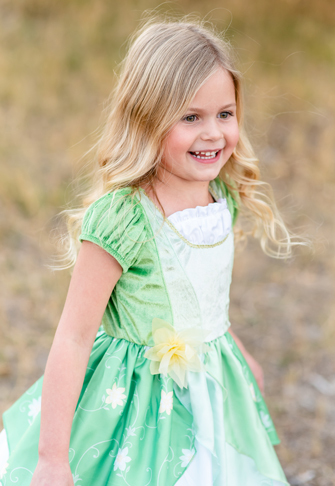 Everything is delicate and lovely from the ruched neckline to the yellow tulle lily on the waistline. We also love how the multi-colored, layered skirt lends an air of enchantment to the gown. 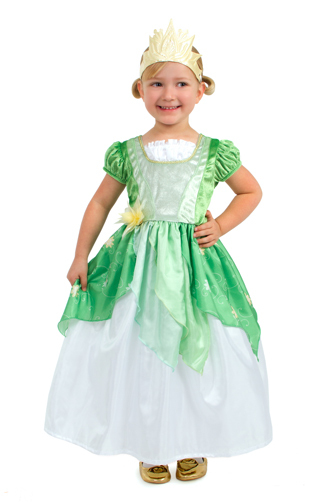 And you'll be so happy with the stretchable fabric which will accommodate little princesses of all proportions. 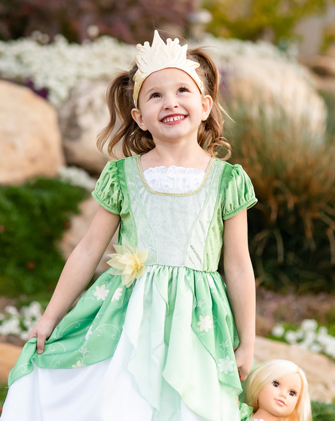 As with all of our gowns, there are no zippers or Velcro, so she will love the soft velvety touch and feel next to her skin and the freedom to dress independently but be prepared as she may not want to ever take it off. 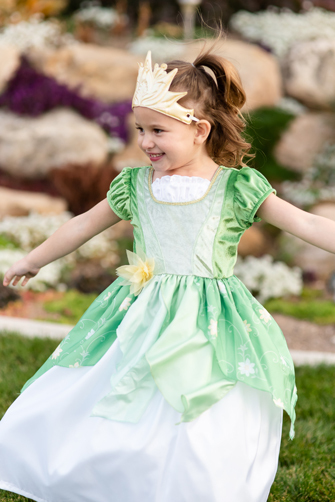 When she is ready to switch out her outfits remember all of our gowns are machine washable and durable with no itchy or scratchy fabric. And best of all no glitter to shed around the house.